Dr. Vornovitsky specializes in clinical cardiology, caring for patients in and out of the hospital. He has additional training in echocardiography studies, including exercise and pharmacological stress testing, transesophageal echocardiogram, and nuclear cardiology. He sees general cardiology patients at his offices at Highland Hospital and Red Creek and also cares for critically ill patients in the Coronary Care Unit at Strong Memorial Hospital. He is board certified in Cardiovascular Medicine, Internal Medicine and echocardiography. Dr. Vornovitsky received his MD degree from the State University of New York at Buffalo. 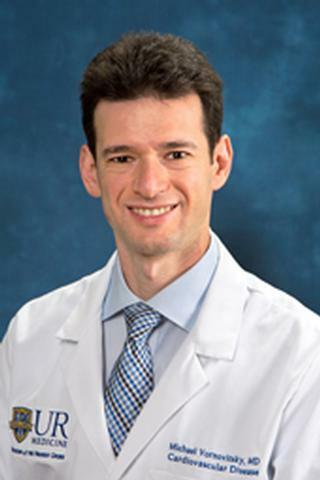 He completed his Internal Medicine and Cardiology training at the University of Rochester Medical Center where he has been on the faculty since 2017.